In "The Pirates! 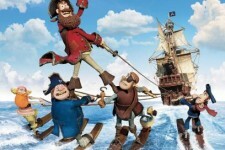 Band of Misfits," Hugh Grant stars in his first animated role as the luxuriantly bearded Pirate Captain – a boundlessly enthusiastic, if somewhat less-than-successful, terror of the High Seas. With a rag-tag crew at his side, and seemingly blind to the impossible odds stacked against him, the Captain has one dream: to beat his bitter rivals Black Bellamy (Jeremy Piven) and Cutlass Liz (Salma Hayek) to the much coveted Pirate Of The Year Award. It’s a quest that takes our heroes from the shores of exotic Blood Island to the foggy streets of Victorian London. 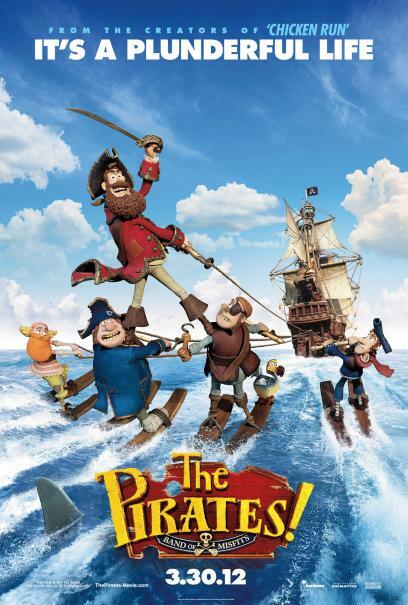 Along the way they battle a diabolical queen (Imelda Staunton) and team up with a haplessly smitten young scientist (David Tennant), but never lose sight of what a pirate loves best: adventure!